How did accused molester Cardinal McCarrick keep his secret for so long? This leads to a related question: with Christians, including Catholic Christians, being persecuted for their faith at unprecedented rates around the world, why is there not a single bishop (with the notable exception of Cardinal Burke) who is willing to break with the ecclesiastical lockstep and acknowledge the obvious and readily demonstrable fact that Islam is not a religion of peace? Why is there not even one bishop who will decry the relentless harassment and attempts to silence those who dare to point that Islam is indeed not a religion of peace? The U.S. Catholic bishops are much more concerned that you believe that Islam is a religion of peace than that you believe in, say, the Nicene Creed. Could this be a clue as to why there has emerged not even one bishop who dares to state and stand upon the truth? At the time, several reporters had spoken with me about the cardinal. Most had been unable to find anyone willing to go on record with complaints. Rod Dreher, one of the journalists who was investigating the rumors, now writes about the frustration he felt when witnesses refused to go public…. Now that the story has finally surfaced, Dreher wants to know: “Why were so many bishops willing to run cover for Ted McCarrick all these years?” That’s a good question. But I have another. Why were so many journalists willing to let the rumors go unexplored? Or, if they did explore the rumors, why were they willing to drop the story, at a time when so many other allegations were splashed across the headlines? Could it be because, for anyone seeking to influence a cardinal, the threat of disclosure is more effective than disclosure itself? 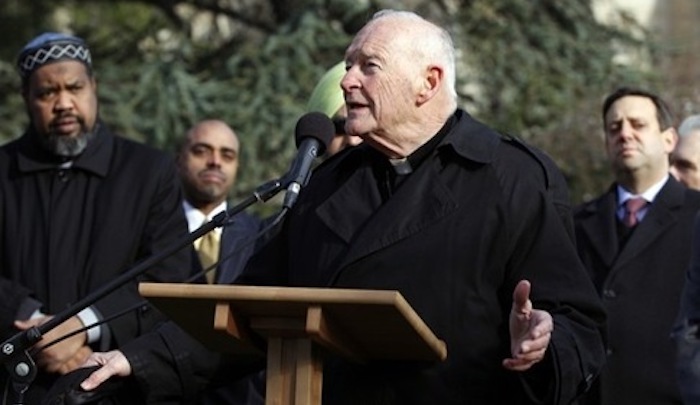 RELATED VIDEO: Cardinal Theodore McCarrick alleged to have sexually abused minor. https://drrichswier.com/wp-content/uploads/CARDINAL-MCCARRICK-e1530660482493.jpg 360 640 Robert Spencer http://drrich.wpengine.com/wp-content/uploads/logo_264x69.png Robert Spencer2018-07-03 19:28:162018-07-03 19:28:16How did accused molester Cardinal McCarrick keep his secret for so long?